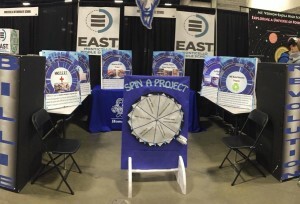 The MMS EAST program represented Billie Nation at the 2019 National EAST Conference March 12th-14th. 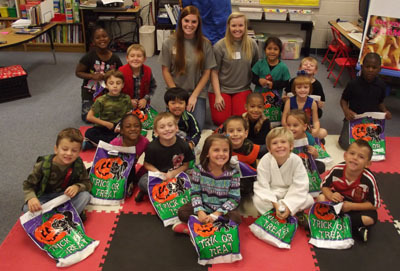 A team consisting of Kat Claycomb, Caden Fitzgerald, Addie Montgomery, Alivia Ramsey, Kaleb Romero, Hope Sass, Chesney Smith, and Brinkley Taylor presented seven of the many projects students have been working on this year. The projects included the MMS Student Emergency Response Team (SERT); the Bille Dyslexia Reader; the Alzheimer’s Memories of Love Project; the Jordan Park Lighting Project; the MMS Clothing, Hygiene, School Supply Closet; the Waste Reduction and Recycling Project; and the MHS Fishing Team. 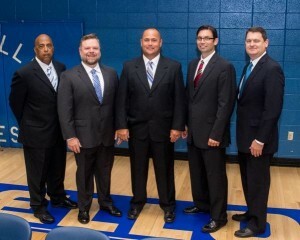 The students were well rehearsed and polished as they presented to the public and judges. 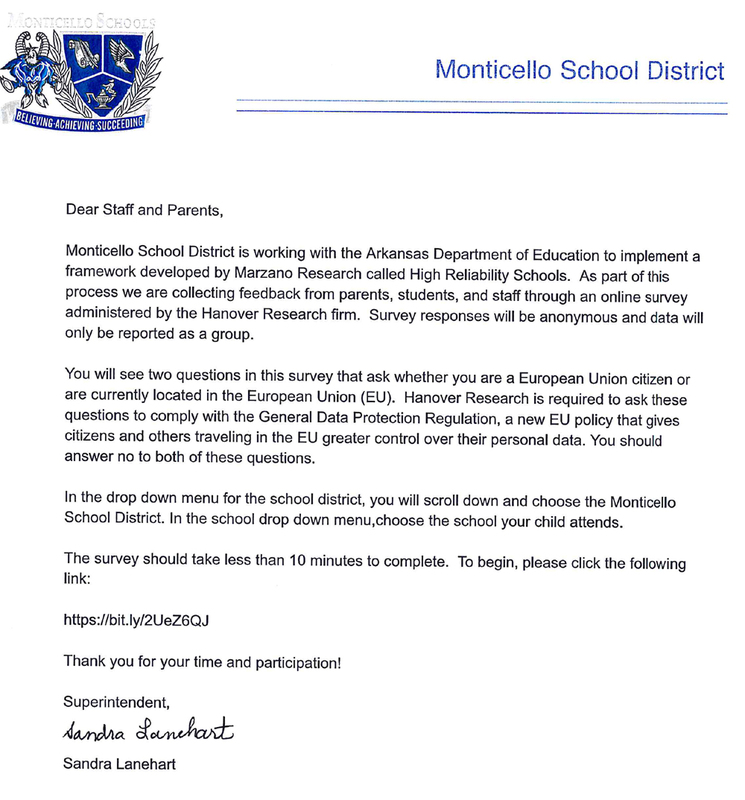 If you would like to know more about these projects and/or our MMS EAST Program, please contact EAST Facilitator Shawn Curtis at 367-4040 / 367-4043. 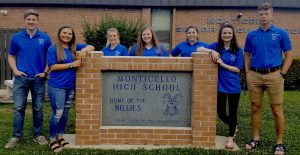 Congratulations to the members of the Monticello High School Billie Band for their achievement last night in El Dorado at the Region III Concert Assessment. 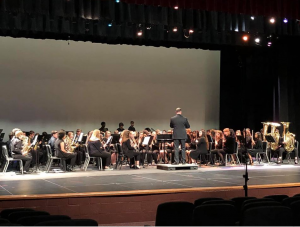 The band received all superior ratings on stage and superior performance in sightreading. This score, combined with a superior rating in marching assessment, awards them with their TENTH CONSECUTIVE SWEEPSTAKES. 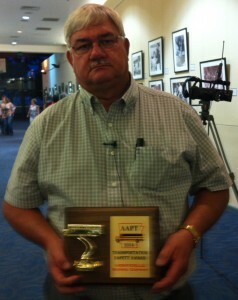 A sweepstakes is the highest honor a school band in Arkansas can receive. 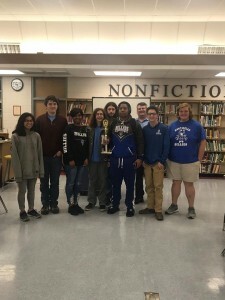 The Seark Co-op Jr/Sr Chess tournament yielded two winners for Monticello. 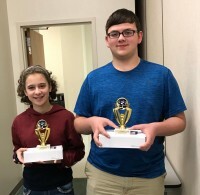 Matilda Henris (7th grade) placed 2nd, and Hayden Turner (9th grade) took 1st. Both are Gifted & Talented students. Congratulations to Monticello High School Quiz Bowl. 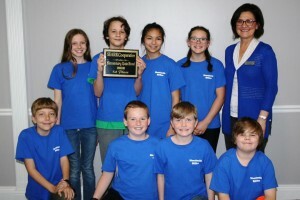 We finished 1st place undefeated in the 4A Regional Tournament. They worked so hard and are very deserving. We’re going to STATE!!! And Congrats to Lucas Babst who won MVP. 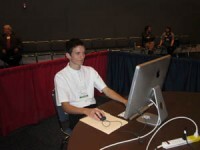 He answered over 90 questions correctly!!! 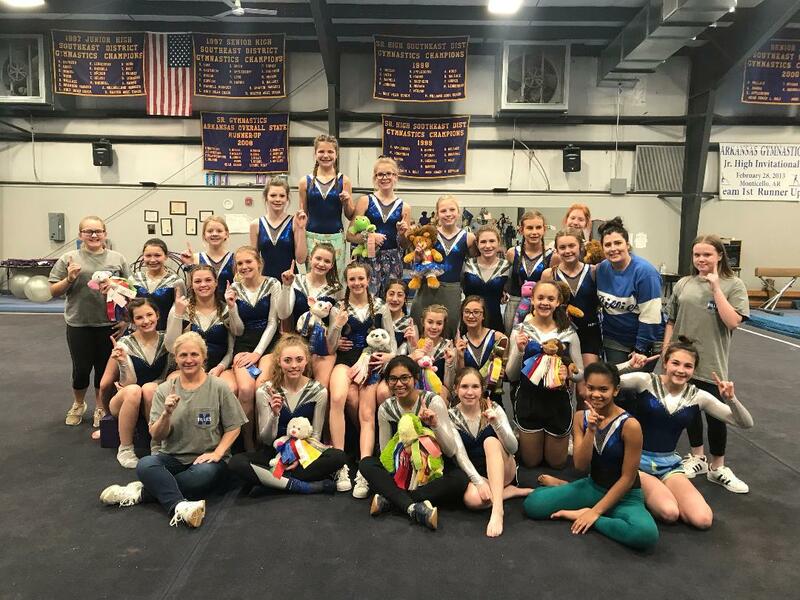 Recently,Monticello gymnastics traveled to Dumas to compete in their first meet of the season. 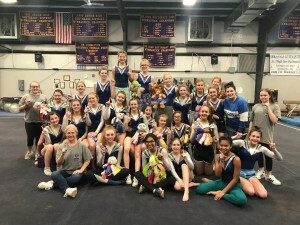 All three teams, Monticello High School, Junior A, and Junior B, took first place. 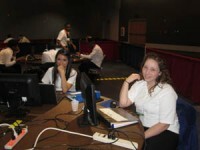 Teams are coached by Meggan Oxner and Mary Ramsey. 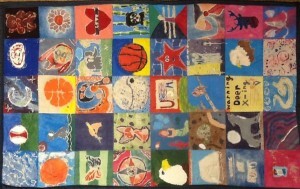 The 2nd 9 weeks art students at MMS created batik quilt squares for Meals on Wheels quilt raffle. Students in Mrs. Knight’s 6th grade art class created quilt squares that was made into a quilt top by Mrs. Beverly Sullivan. The quilt was then passed off to Mrs. Paula Hooks to be quilted into the final product. 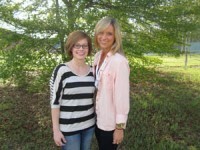 Both ladies donated their services for this project. The students are selling tickets for the raffle. 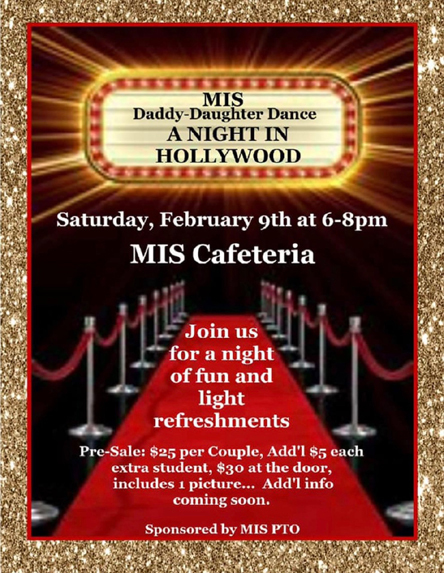 The tickets are $1 each or $5 will get 7 tickets. The quilt is on display at MMS if anyone is interested in buying a raffle ticket or making a donation to Senior Citizen’s Meals-On Wheels program. 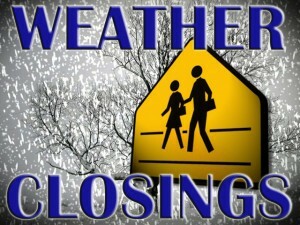 Monticello School District Superintendent Sandra Lanehart recently announced state approval for the new inclement weather procedures for all schools in the district. 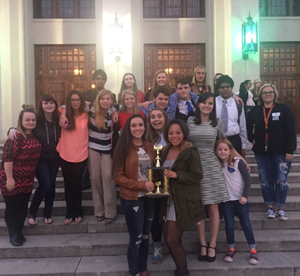 MHS Choir State Sweepstakes / “Best in Class” 4A STATE Champs! Prom packets are available in Mrs. Mitchell’s room. Tickets are $15 each. All paperwork must be turned in together when tickets are purchased. 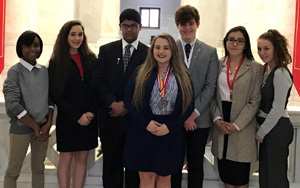 Sixteen members of the MHS Forensics and Debate Team traveled to the Tiger Classic Invitational Forensics Tournament held at Little Rock Central High School this weekend. 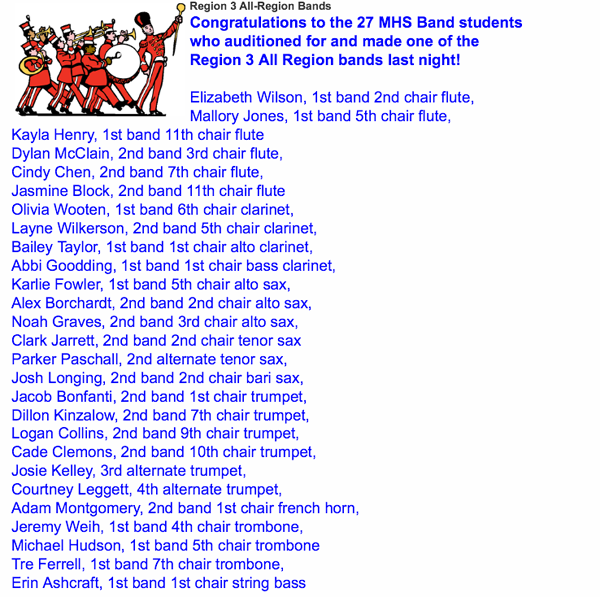 Of the sixteen members, eleven were first-time competitors, and they certainly made MHS proud! featured the performances of the state’s best choral and band musicians. 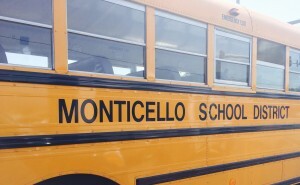 The Monticello School District’s Transportation Department was selected as one of six school districts in the State of Arkansas and awarded the Arkansas Association of Pupil Transportation School Bus Safety Award given at this year’s AAPT Annual Conference in Hot springs, this week. 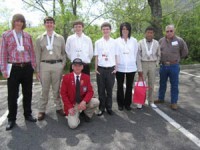 Medal Winners at competition with teachers from left to right: Chris Halley, Trey Busch, Michael Harris, Brandon Ashcraft, Kelly Griffin, Jose Ambrocia, Ricky Kulbeth, and Darrell McDaniel (kneeling). 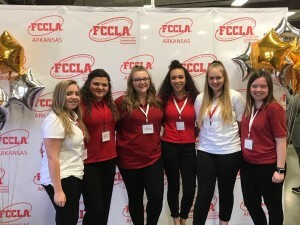 Monticello Occupational Education Center (OEC) students traveled to Hot Springs April 14 – 16 to participate in the Arkansas SkillsUSA competition. 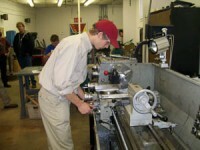 SkillsUSA is a national organization for students preparing for technical, skilled and service occupations in high schools and colleges/technical schools. 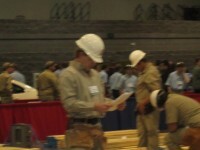 The event is held annually and is hosted by Arkansas industries and the Arkansas SkillsUSA Organization. 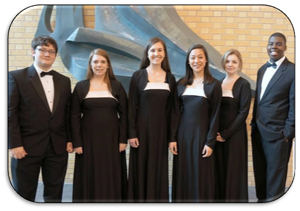 Monticello HS Concert Choir earned Superior 1st Division ratings at the Arkansas Choral Directors State Choral Performance Assessment – CPA Thursday, April 10 at UCA in Conway. These ratings, combined with their 1st division ratings at the region CPA in March, gives MHS Choir the Sweepstakes Award for the second consecutive year. 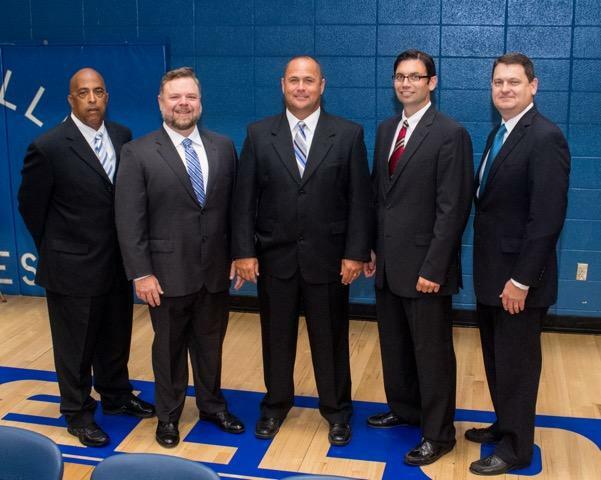 “This has been a remarkable year of achievements for our students. 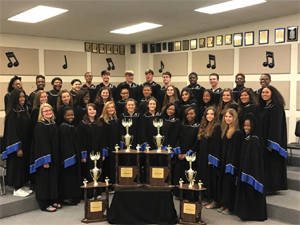 I am thankful and extremely proud of the dedication, discipline and arduous spirit they have displayed on a daily basis,” says MHS choral director, Bennie Vincent. 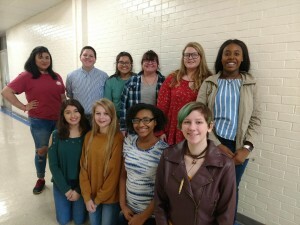 Congratulations to such an amazing and talented group of vocalists! MHS and MMS choir will have their annual spring concert Thursday, April 24 at 6:30 p.m. in the MMS auditorium. We look forward to seeing you there. 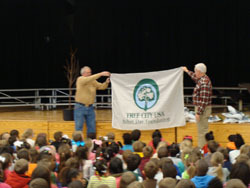 Monticello Tree Board members Hope Bragg and Lee Williams greeted more than 500 students and teachers from the Monticello Elementary School K-2 classes who had gathered in the school cafeteria to celebrate Arbor Day. 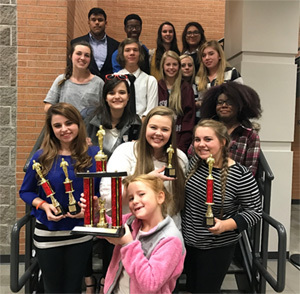 Recently, 11 MHS forensics team members competed at the Cabot Classic Forensics Tournament where there were approximately 1,000 total entries. Becca Stephenson advanced to finals and earned 3rd Place in Prose Interpretation. 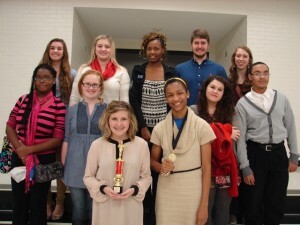 Salonica Hunter earned a finalist medal in Storytelling. 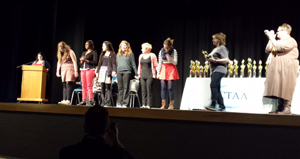 Stephenson also advanced to semi-finals in Poetry Interpretation. 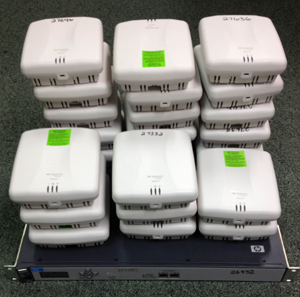 The Monticello School District will be taking sealed bids on an HP ProCurve MSM760 Wireless Controller and 23 HP ProCurve MSM410 Wireless Access Points. Bids must be received by 10:00am Tuesday November 12, 2013 and will be opened on Tuesday November 12, 2013 @ 11:00am. Friday, October 18th was declared ‘Go Pink Day’ at Monticello Pre-K. The staff and students wore Pink to honor a Pre-K Staff member, Mrs. Pam Dunlap, who is a cancer survivor. The students and staff members cheered Mrs. Dunlap on as she prepared to walk in Little Rock at the annual Race for the Cure. Mrs. Dunlap was presented with flowers, balloons, caps and a pink tote bag filled with an assortment of pink gifts. In her honor the Pre-K staff members were also presented with pink tote bags.